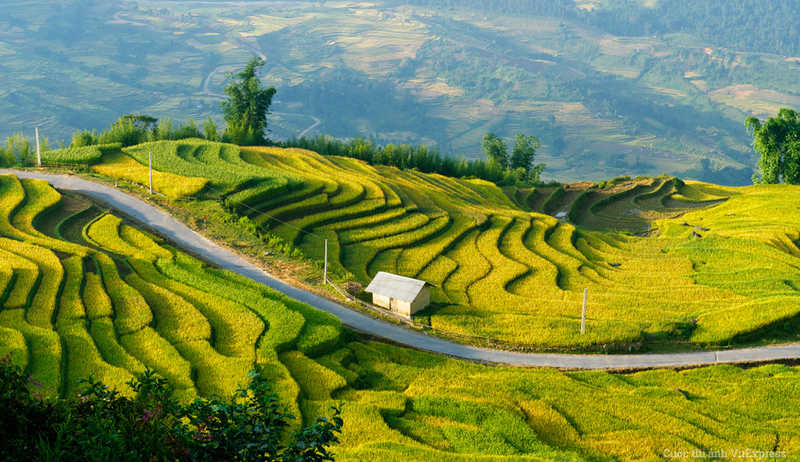 A three-day in the Mai Chau & Pu Luong area gives us that added amount of time to get up close and personal with the Thai people and the natural wonders of the area. Take your time, learn, and explore as you feel. It will be interesting for you to get up and observe, or even take part in their activities in the morning because the daily life here starts early, take an opportunity to stroll around Hang village before having breakfast served by Thai people, then at 8 a.m start our trek. Today we will be walking approximately 5 to 6 hrs .The first hiking is hard with some steep climbs and yet more stream crossing, the next is really glorious with beautiful views of valley, rice terraces, rich rain forest, streams. Picnic lunch on the way at Eo Ken village, arrival in Kho Muong – the setting of the village is perhaps the most beautiful in Vietnam. It is recommended to stroll round the village and join in as villagers go about their daily lives, or relax in one of the three-eco homestays superbly set up by FFI (Flora and Fauna International) in conjunction with local villages. Please be soft and nice, nature is just very lovely here. Arrival in Kho Muong village in the afternoon. Here we will spend our second night in a typical Thai eco – stilt house. TAfter having breakfast, start for an easy day trek. 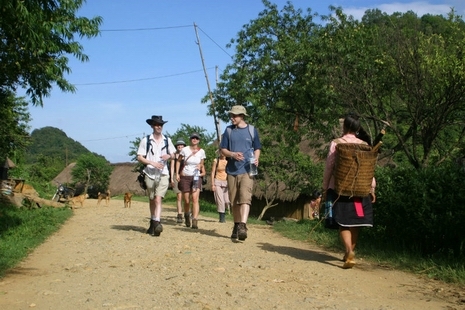 We will continue on through beautiful valley, unspoiled villages with nice view, sure with much impression. Relax from the heat of the day before continuing on to a village nestled between steep karts mountains and nice terraces. Arrive in a small town in Pho Doan market after 3-4 hrs trekking. Short break for lunch in a local food stall in the town. Our driver will bring us to Canh Nang, follow 217 road to Cam Thuy and back to Hanoi. Finish our trip at your hotel in Hanoi.